Brody Leven, a 2006 Most Valuable Student scholarship recipient sponsored by Willoughby-Cleveland, Ohio, Lodge No. 18, recently graduated from Westminster College, a place he knew as home and a place where he let his talents shine. Brody left a lasting legacy on his alma mater. Ever since he was a freshman, Brody, an economics major, wasted no time changing Westminster for the better. He was elected student body president both his junior and senior years—the youngest student in the college’s history to get this position. During his time as student body president, he started ‘Westminster Wheels’, a bike-rental operation on campus. He even set a Guinness World Record for getting the most college students to register as organ donors in eight hours. Throughout college, Brody was able to focus on helping others, doing what he loved, and shaping his future, for which he thanks the Elks. “With the help of the Elks, I was able to do so much and it made me a more complete person,” Brody says. When he wasn’t working at Westminster College, Brody was always looking for his next adventure. 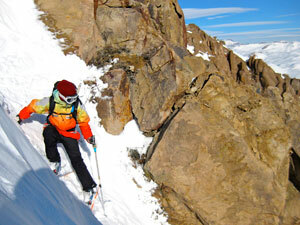 An avid skier and lover of the outdoors, Brody has spent a lot of time “chasing winter,” as he puts it. Although he has been skiing his whole life, Brody doesn’t just stick to one sport. This past September, he took up cycling on a whim. Brody decided to bike from Montana to his home in Ohio for Thanksgiving. 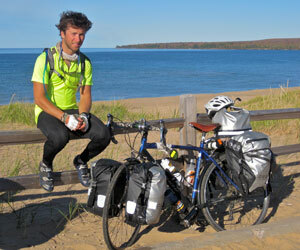 With everything he needed packed onto his bike, Brody cycled across the country and made it home in less than six weeks. For now, Brody’s future plans include traveling to India for a month, then heading back to Salt Lake City to focus on skiing, his lifetime passion, before heading to graduate school and starting his own business one day. With his passion for helping others, we know Brody Leven will go far in any adventure he sets out to complete!